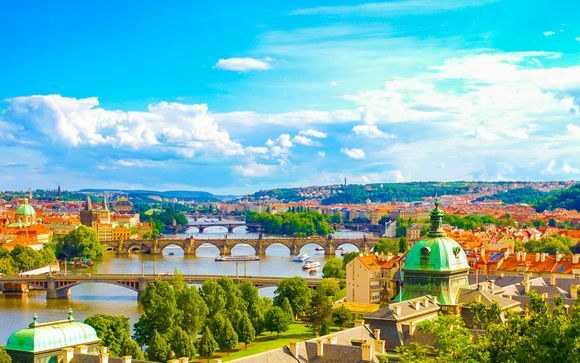 Czech Republic Free Travel Guide and Practical Advice up to -70% off To take advantage of these offers, join now for free! Discover Czech Republic. Get inspired with our Travel Guide . Advices, Tipes, Best location, itineraries and more ✅. 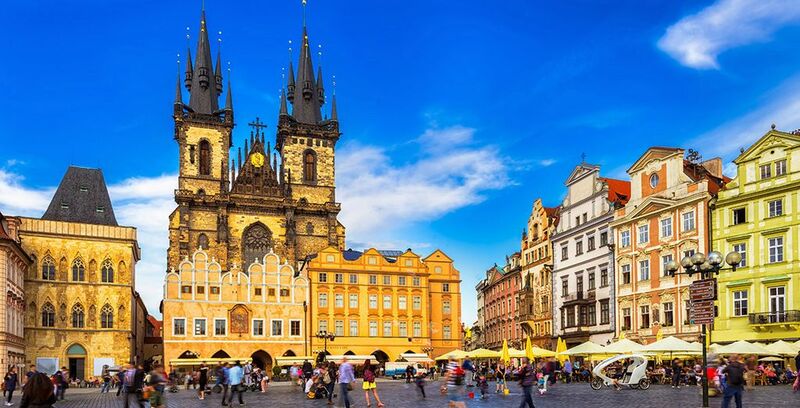 Located at the very heart of the European continent, the Czech Republic is a land that has been shaped by many cultures over the course of the last millennium. Now the country displays its rich and varied heritage proudly – something that you are sure to experience when you visit. 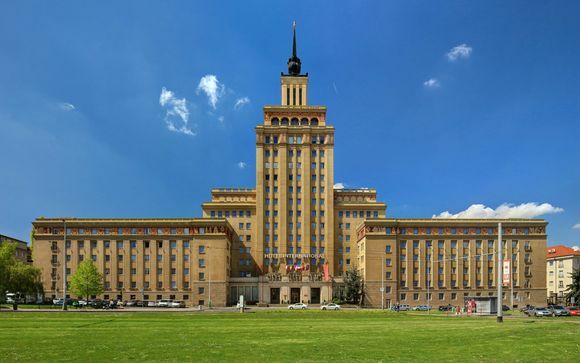 Since the dissolution of the Communist Bloc in Eastern Europe almost three decades ago, the land-locked territory has experienced a cultural renaissance. Now, the capital city Prague is a hugely popular destination for travellers looking for a weekend escape amongst gorgeous architecture. 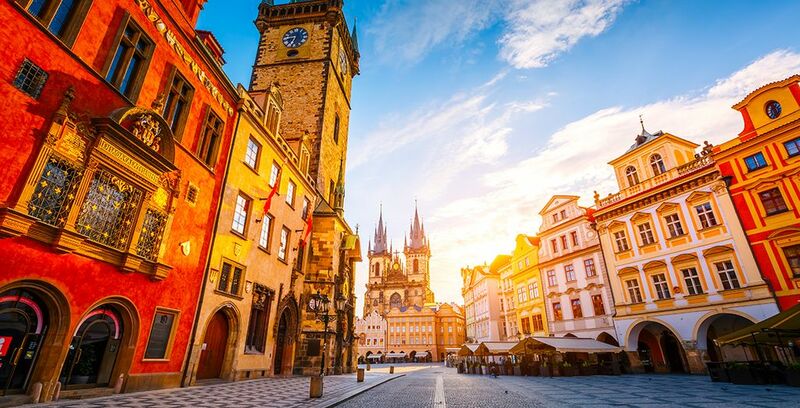 But the romantic city streets of the nation’s capital are definitely not the only delight on offer to travellers, as the Czech Republic is rich with beautiful countryside, cities alive with activity and culture, and of course, an incredible selection of world-famous beers. 1. Enjoy a cold Pilsner in Plze? One of the Czech Republic’s most famous exports to the wider world is beer – specifically the Pilsner Urquell. Plze?, known to English speakers as Pilsen, is a city that has been built on the success of its breweries. But Plze? is not a city that can only be enjoyed by beer-lovers. Awarded European City of Culture in 2015, the city is rich with art galleries, museums, and an underground network of tunnels that can be explored. The historic seat of power of the Kingdom of Bohemia, Prague Castle’s many dark spires and towers that thrust into the sky is a striking and imposing sight. Whether you are interested in the wealth of history that the Castle contains, or you simply wish to absorb the best sights Prague has to offer, this is a Czech attraction that cannot be missed. Guided and private tours are available, starting in price at around 40EUR upwards. Additionally, passport checks are required before entering for matters of security. A place that could have been taken straight out of the pages of a Gothic-era folktale, Cesky Krumlov lies to the south of Prague amongst the forests and rivers of Bohemia. Managing to blend both a quaint charm of its Renaissance architecture with a vibrant and lively cultural scene, Cesky Krumlov is an often-overlooked destination and is well worth a day trip. This massive and gorgeous national park extends all the way to the Saxony region of Switzerland (hence the slightly confusing name) and the western portion of the Czech nation, Bohemia. Replete with rolling hills, luscious thick forests, and gaping sandstone canyons carved out by the river Elbe, this park is a popular destination that can be visited in a day from Prague – guided tours and activities like river-rafting are available. If you’re travelling with children, the classical architecture and excellent cuisine of the Czech capital might not be particularly exciting for them. But luckily, Prague is much more than just a huge museum and there are plenty of fun attractions around to excite little voyagers. Located in the centre of the city, Prague Zoo boasts a huge array of animals, exhibitions and activities that ensure the entire family has a fantastic day out. The architecture of Prague (Praha to the locals) is a tapestry woven with many threads over the years – the Holy Roman Empire, the Visigoths, Austria-Hungary and now the modern age. If you want to see the sights up close and personal, then a guided tour is a great way to spend a day exploring this incredible city. Czech beer is famous, but what about the food? Well, why not find out on a tour designed to indulge you in the country’s culinary delights. 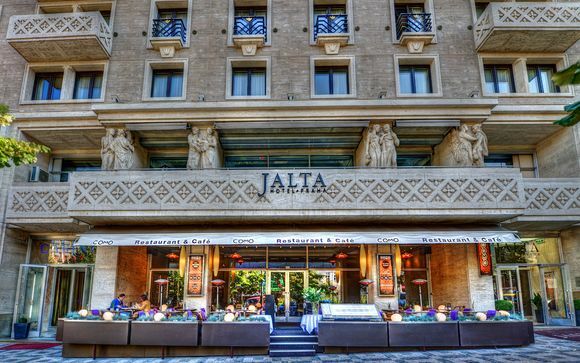 Try out some dishes like kulajda, goulash, or some delectable steak tartare and wash it down with some locally brewed beverages. What better way to spend a day than exploring Prague, Brno or Ostrava by experiencing local dishes that you may not have thought to try by yourself? Prague and Plzen aren’t the only Czech cities brimming with history and culture. To the east of the country is Brno, the secondary city of the republic. Take a tram ride around, soak up the cool Bauhaus atmosphere, browse the weekly farmers market before heading up to the Spilberk Castle. Or, if you fancy something slightly sinister, why not visit the city’s ossuary (bone-church) and underground labyrinth. Here you can have a thrilling experience without even leaving Prague – although there probably aren’t any extreme rapids in the city centre. Paddle through the city centre, taking in the information from the local guides, before mooring up and enjoying a smoked sausage and cold pint in a nice pub. This is most definitely an attraction for extreme thrill-seekers. Local action-adventure companies, (as well as offering shooting, bungee jumping and other extreme experiences), offer travellers the opportunity to see the whole country from the canopy of a two-seater fighter jet. You can be assured that this will be an experience you’ll never forget. One of the most crucial things to remember if you are dining out in the country is that tipping is expected. Typically, rounding up the bill to the nearest 50 or 100 koruna is the normal fashion, so this is something to keep in mind when you visit. That said, overly generous tipping might be seen as brash and show-offish, so moderate generosity is encouraged. Social customs will be familiar to Western Europeans – handshakes on a first meeting are seen as the proper and polite way to introduce yourself, male or female. As the name suggests, this 4* hotel offers visitors incredible vistas of the capital. With a sumptuous modern décor in the air-conditioned deluxe rooms, a bar and restaurant, and a crowning glory of a top floor Spa and pool. 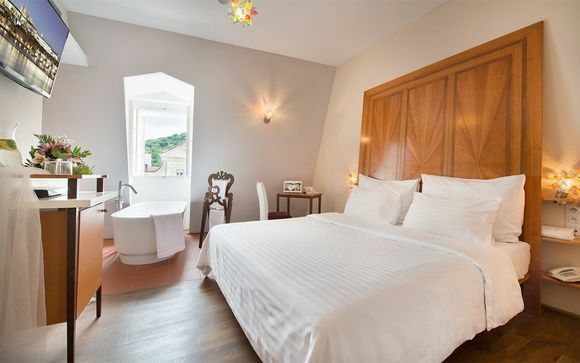 Located in an easily-accessible but also calm and uncrowded part of the city centre, Panorama is an ideal place to stay if you want to recharge your batteries after a long day of exploring the town. An uber-cool modernist hotel, Red & Blue is located in the beating heart of the Old Town. Enjoy a breakfast on the terrace, watching the world go by. The stylish and comfortable rooms are equipped with a host of creature comforts– Wi-Fi, air conditioning, a work area (although hopefully you won’t need it). Ideal for travelling – and arriving – in style. 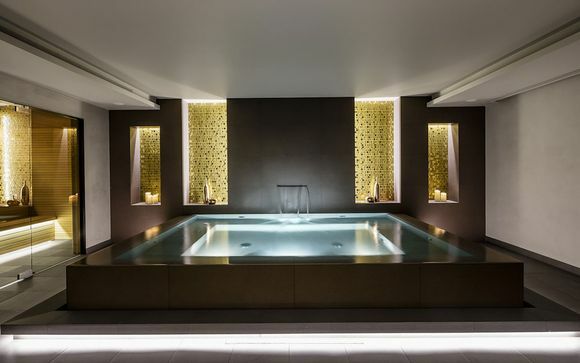 Indulge yourself in unparalleled luxury at the 5* Corinthia. 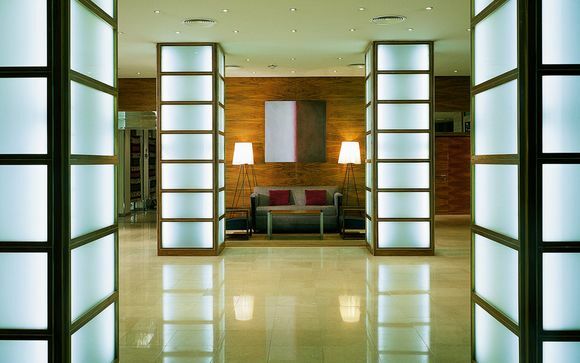 A sleek modern hotel located in the capital’s centre, the Corinthia is an ideal place to enjoy the finer things in life. 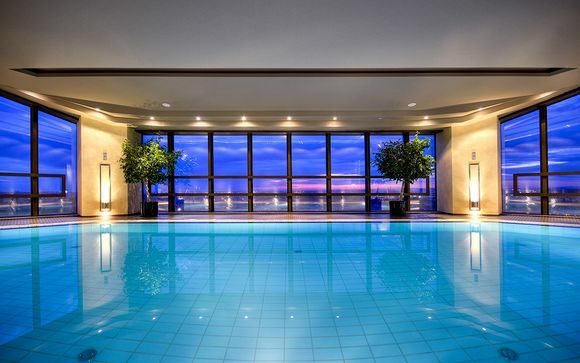 Dine at one of the five on-site restaurants, unwind with a private massage, or take an evening swim in the pool room that looks out onto the city lights. 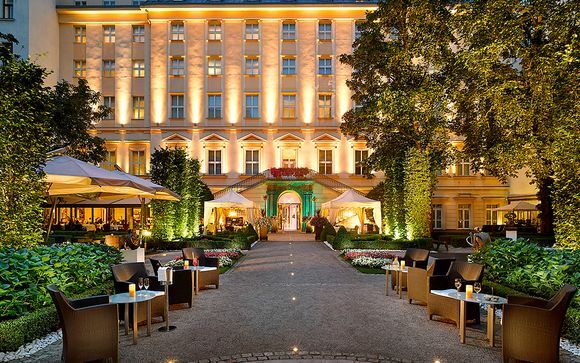 Convenience, class, and comfort all abound at the Corinthia Hotel. Like its Austrian and German neighbours, Czechia (as it is sometimes called) is famous for its large Christmas markets. Here you can enjoy festive treats and revel in the merry atmosphere with the many locals and tourists. Prague is also known for being a very musical city and is home to an annual Spring Musical Festival that runs from May to June. This event sees musicians from all over the globe fill the city’s concert halls and palaces with all manner of music. Every June, the historic town of Cesky Krumlov holds the Five-Petaled Rose Celebration, a local tradition that sees the streets filled with jousting, food and wine from the middle ages and all kinds of incredible medieval-style festivities. Airport security laws mean, unfortunately, you likely won’t be able to take home a bottle of proper Czech pilsner. Luckily there are other great souvenirs you can take home with you – why not take home a hand-crafted traditional wooden figurine, or jewellery with a garnet stone (a symbolic Czech gemstone), or an iconic ‘Kovap’ mechanical toy? Local giftshops are filled with many a curiosity to take away with you. What currency to use in the Czech Republic? The Czech Koruna is the national currency – Euros can still technically be used, but most places will only accept korunas. 10CZK works out to roughly £0.40 (as of 2018). Visa, Mastercard, Maestro, and American Express debit cards can be used to withdraw cash or pay for services – paying with cash to avoid transaction fees would be advisable. The Czech Republic is in the GMT+1 time-zone. What language is spoken in the Czech Republic? As you might expect, Czech is the country’s official language and is the most widely spoken by far. Czech has little connection to Latinate languages like English, French, or Spanish, so making sure you have a phrasebook is a necessity – educated guesses might be a risky approach. However, especially in Prague and Brno, you are likely to find citizens who speak either German and/or Russian, and potentially English as well. The quickest and easiest way to get to the Czech Republic is by plane. 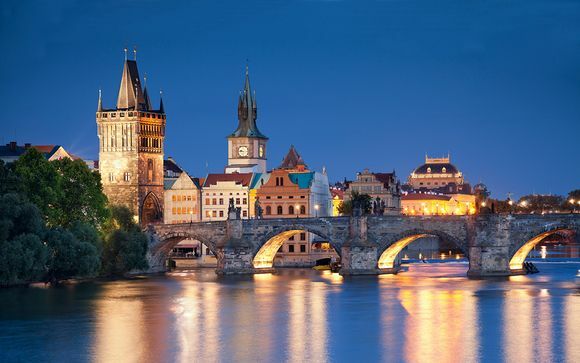 Around 800 miles from London, and 550 miles from Paris, the capital city Prague is served by Vaclav Havel Airport which most major European airlines fly to. Berlin is around 240 miles away, and the journey from the German to Czech capital can be done by train. Being both a major metropolitan city and popular tourist destination, Prague’s Václav Havel airport has many regular transport links into the city itself. From London, flights to both Prague and Brno–Tu?any Airport are around 2/2.5 hours duration; Paris to Prague takes around the 2 hour mark as well, whilst flight times from Berlin to Prague is closer to 2.5/3 hours. Luckily the temperate climate means you won’t have to pack for extreme heat or cold. If you’re planning on going in summer, then sun-cream and bug spray is advisable. For autumn and winter, heavy coats, hats and gloves will keep you warm and dry. 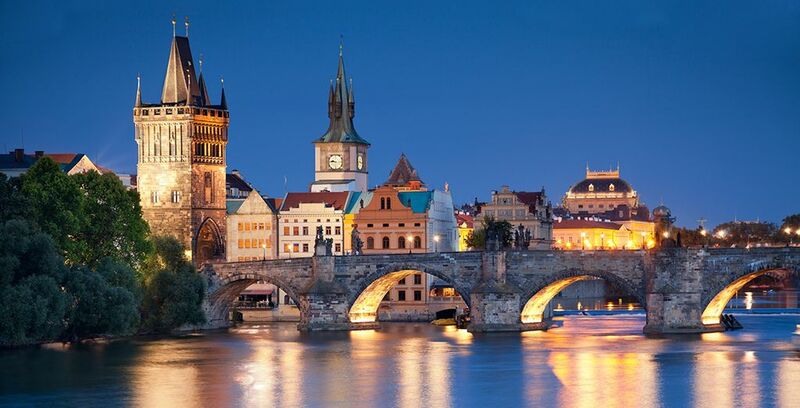 Prague has become a hugely popular destination for weekend breaks, whether to enjoy the romantic environment of the old city or to enjoy the cheap beer and the vibrant nightlife of the town. But if you want to stay for more than a long weekend, then you won’t be short of things to do in the Czech Republic. Being a small country, day trips to the surrounding area and other major cities like Brno or Ostrava are more than feasible, as well as crossing into nearby Switzerland or Slovakia. Like most modern capitals, Prague boasts a huge and varied selection of restaurants and eateries from traditional Czech pub food all the way up to contemporary Michelin-starred venues. As well as the zoo, Prague has numerous galleries and museums that aren’t just a dull experience for younger travellers – like the NaFiLm (National Film Museum), Museum of Senses and the Galerie Ocelovych Figurin which is filled with incredible metal sculptures. In the countryside, there are numerous castles, parks and forests to explore as the Skywalk – a huge snakelike tower that you can climb all the way up to the top for breath-taking views. How to travel to the Czech Republic with your pet/s? Pets (cats, dogs, ferrets) can be brought with you to the country, but there are regulations to be met to do this. First, your pet must have an ISO compliant microchip fitted. As well as this, all animals must have a rabies vaccination and recent test for the disease. Finally, a valid pet passport/EU health certificate is essential. More in-depth and specific regulations and procedures can be found online to help assuage any worries or concerns you may have. Czech Republic – what budget to plan? One of the Czech Republic’s many boons to the holidaymaker is that it's a relatively inexpensive country to visit, especially for Europe. For a daily spend on holiday, an average budget of between £60-70 or 1, 900 – 2,100 korunas for accommodation, food, and souvenirs would be a sensible amount. Tickets to the famous Charles Bridge come in at around £5, as does a bottle of wine to drink whilst looking out onto Prague’s fairy-tale architecture, and a day-pass for Prague public transport will set you back around 110Kc for adults. The Czech Republic has a typically continental climate, seeing both bitter winters and balmy summers. A large proportion of the country, especially the eastern region of Moravia, is hilly and mountainous but not to the extent of its southern neighbour Austria. In the Sudetes and Krkonose mountains, temperatures dip and the overall environment is much more Alpine than the rest of the country. If you’re a traveller who wants to experience a cold Pilsner in 25deg weather, then you should aim to visit during the busy summer months of May to September. But if you want to see the Gothic buildings of Prague draped in a blanket of snow, then make sure to wrap up warm and visit during the winter months of September through to February. The power outlets in the Czech Republic are the standard European 230V AC outlets, so converters will be required.